No matter how robust you think your homeowners insurance policy is, it probably doesn’t cover you in the event of a flood. This can be devastating news, especially if you are learning about the lack of coverage after suffering severe flood damages to your home, business or investment property. The good news is you can prevent yourself from a financial crisis by arming yourself with a strong flood insurance policy from Five Brothers Insurance. Many people falsely believe that FEMA will provide adequate disaster relief in times of severe flooding. While it is true that Federal assistance is provided in times of disaster, this is only true if the President has formally declared it a disaster situation, and even then, the assistance is often in the form of a loan that must be repaid. Rather than hope that your flood damage is deemed a disaster and rely on the possibility of a loan to repair your structure, prepared home and business owners realize that the better bet is investing in an insurance policy that will allow them to repair their property with ease. Building Coverage: This can include foundation damages, electrical repairs, plumbing system repairs and replacement, appliances that are built into the structure and more. Possession Coverage: With possession coverage, your items inside the home are protected. These items can include clothing, furniture, electronics, appliances that are not built into the structure, carpeting, tile and more. 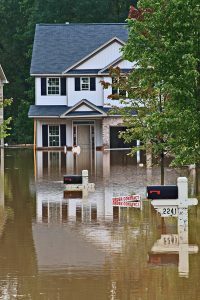 Flood-Related Expenses: In the event that you are displaced from your home due to a flood, many of your expenses can be covered by a strong flood insurance policy. Policies can cover food, hotel stays and more, as necessary. At Five Brothers Insurance, we’ve worked with home and business owners throughout the country and provided them with sound insurance policies and services for over 28 years. We feature a comprehensive policy offering, which includes flood insurance, homeowners insurance, commercial insurance, motorcycle insurance, boat insurance and more. If you want to protect your home, business or investment property, contact Five Brothers Insurance today for more details on our flood insurance policies. We are proud to serve Tampa, St. Petersburg, Clearwater, Dunedin, Tarpon Springs, the entire state of Florida and beyond. When you need a homeowners insurance policy, flood insurance policy or insurance for any of your investments, we are the team with the experience to protect you.